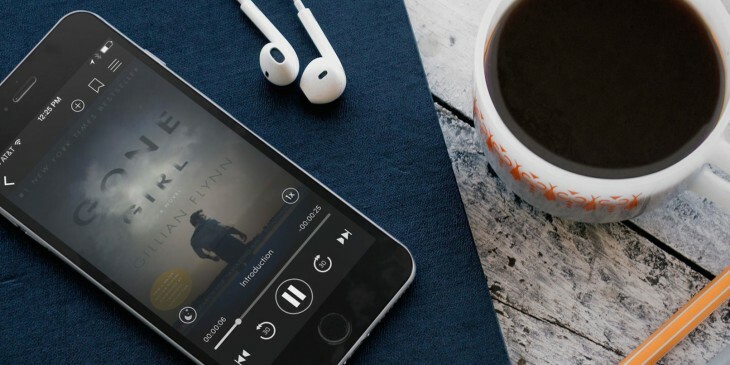 Subscription reading and listening service Scribd has expanded its audiobook selection. From today, you can listen to over 9,000 titles from Penguin Random House Audio. The new additions bring the number of audiobooks in Scribd’s library up to more 45,000. They’re available as part of its $8.99 a month unlimited subscription deal, which also gives you access to ebooks and comics. The arrival of Penguin Random House audiobooks on the platform is a pretty big deal as it adds a raft of major authors and bestsellers, including ‘Game of Thrones‘, ‘Gone Girl’, ‘The Girl with the Dragon Tattoo’ and, if you’ve escaped it so far, ‘Fifty Shades of Grey’. As Scribd tends to do when it adds a significant tranche of new content, it’s also put together curated collections, such as Political Heavyweights Read Their Memoirs (featuring Bill Clinton, George W Bush, Barack Obama and Tony Blair, among others). Subscribers can access the service’s audiobook collection via apps for iOS, Android, Kindle Fire and Nook, as well as through the Web.